After graduating at the Academy of Fine Arts and Design Ljubljana and becoming a member in the Designers Society of Slovenia, I opened my graphic design studio in 2008. 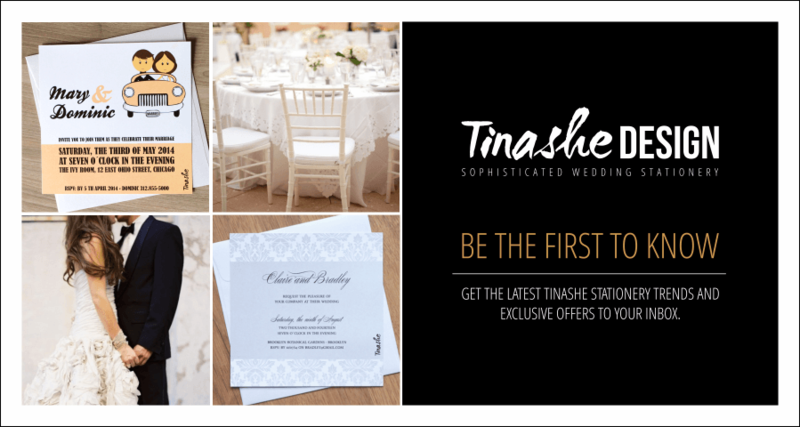 Besides designing corporate visual identities and branding, I also focused on designing unique wedding stationery and so I created my brand Tinashe. With my professional approach and personal touch I dedicate my heart to designing beautiful and unique wedding stationery that will make your dream come true. When I launched my wedding stationery studio Tinashe, my biggest wish suddenly became a reality. Today I feel very blessed and honored to be able to do what I love and to work with lovely couples who are about to be married and whose number has increased to 500 in the last ten years. Let me be your personal wedding designer.